The handful releases from Rare Noise records I’ve received in the last couple years has presented a problem for organizing my music collection: as I sort albums into loosely defined genres I can’t figure out where in the hell to put them. Most of Rare Noise’s output that I’ve heard contains a mix of so many influences and genres that it’s really doesn’t make much sense to file them under any genre. The catalog is full of combinations and takes on metal, prog, electronica, musique concrete, free jazz, straightahead jazz, new/contemporary music, and so on. To get out of trying to best organize them, I decided the best solution would be to put them together. And so they all reside together on the same shelf. While sure, I’ve got plenty of albums that defy genre that have found homes, but putting all the Rare Noise releases together makes them easier to find. These albums’ resistance to classification, as manifested in my organizational conundrum, is pretty telling as to what Rare Noise produces. While I don’t care for everything the label puts out, there’s several albums I really dig, all of which bend, or flat out ignore, genre conventions. Here’s the lowdown on a few of them I really enjoy. That the Days Go by and Never Come Again, by Indigo Mist, is an Ellington tribute unlike any I’ve heard. 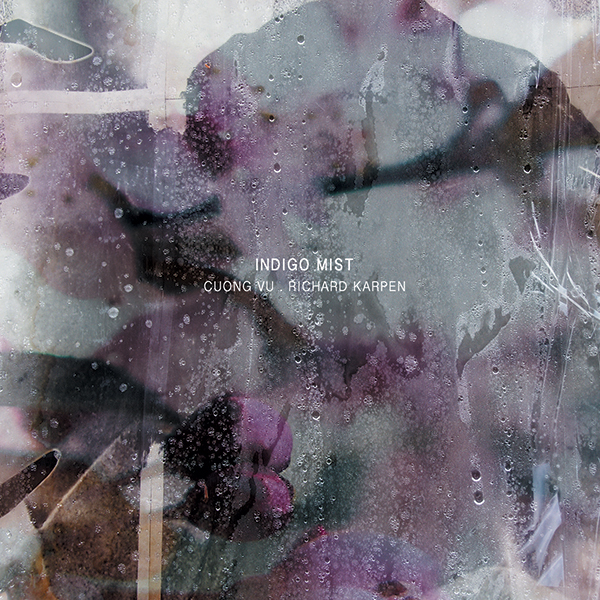 The group consists of trumpeter Cuong Vu, pianist Richard Karpen, bassist Luke Berman, frequent Vu collaborator drummer Ted Poor, and several folks on live electronics. Four of the ten cuts are from Duke’s book: Strayhorn’s “A Flower is a Lovesome Thing” and “Lush Life,” and Ellington’s standards “Mood Indigo” and “In A Sentimental Mood.” The tracks all segue, so as to make one long suite, and they vary in instrumentation, texture, dynamics, and mood. It’s also not always clear when one song begins and the other ends, and when combined with the free flowing and organic way in which the music grows, the album takes the listener on a winding journey. Along the way one encounters Karpen’s thundering left hand piano booms and dissonant clusters, a lengthy drum solo from Poor that dances around the stereo field, brief outputs of random sine waves, a piece that straightforwardly touches on swing and bebop before going sideways, and Vu’s plaintive recitations of “A Flower Is a Lovesome Thing” and “In A Sentimental Mood” wafting through the mist. That the Days Go by and Never Come Again is a gorgeous, far out, haunting, and evocative album. In a word: special. 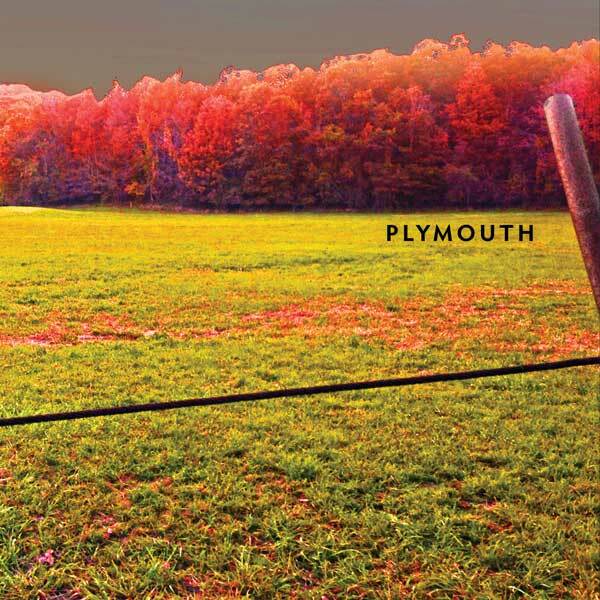 One of my favorite albums of 2014 so far is the self titled album from Plymouth. This is a heavy album that imposes its will. The quintet includes Jamie Saft on organs, echoplex and Rhodes, guitarists Joe Morris and Mary Halvorson, Chris Lightcap on electric bass, and drummer Gerald Cleaver. The three tracks on this beast are long – the “short” one (“Plimouth”) [sic] is thirteen minutes, the long one (“Standish”) almost thirty. Each cut follows roughly the same narrative arc: a relatively quiet and sparse beginning that is followed by a slow buildup in intensity, dynamics and polyphonic textures, and then concluding with a gradual decline. The buildup is not constant, however, as the players weave in and out of each other, contributing a new chord, huge swath of sound, short-lived rhythmic gesture, or melody. The sonic pallet contains a little bit of everything: spacey ’70s fusion, driving hard rock, crunching distortion, huge organ chords, and angular and penetrating guitar lines. Don’t bother looking for catchy tunes or hummable melodies. There are no stars here, as no player stands above the rest – just a guitar flourish from Morris or Halvorson here, a keyboard or drum kit intervention there. Listening to Plymouth’s music is almost like being able to watch the entire lifespan of a glacier: seeing it form, watching it gorge its way through a mountain, witness subsequent fall into the sea, and then being left to consider its power and complexity. 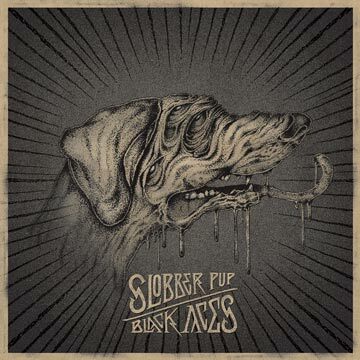 A second Saft-involved project is Slobber Pup, which released Black Aces in June 2013. Pretty much all you need to know about this album can be found in the title of the disc’s final track: “Taint of Satan.” Yup, Black Aces is Hard. Like Plymouth, this album also features Joe Morris. The quartet is rounded out by bassist Trevor Dunn-who was a member of The Melvins-and drummer Balazs Pandi, who played with Merzbow. [Morris and Pandi can be heard on the avant-garde free jazz album by tenor saxophonist Ivo Perelman on Rare Noise entitled One.] Although Slobber Pup’s instrumentation is similar to Plymouth’s (only one guitar here instead of two) they’ve got a completely different sound. As opposed to Plymouth, there is a whole lot of space for soloists to stretch out. The members of Slobber Pup don’t take a whole lot of time to get started – they punch you in the teeth just about from the word go. Black Aces opens with the 27 minute long “Accuser,” and after a roughly two minute introduction in which Morris and Saft test the waters it’s on, as Morris unleashes some serious and lengthy shredding. In fact, the tune is basically one long vehicle for Morris, who navigates the changing grooves and textures by moving from long single note lines, to waves of distortion laden sustained or strummed chords. The last few minutes is a dark maelstrom of drums, organ chords, fuzzy guitar, and Dunn’s penetrating solo bass lines. Pandi is an absolute beast throughout the entire record; he is almost unbelievably active, and his drums thud with unwavering strength and authority. Check out the title track especially, which features some massive organ playing by Saft, to see what I mean. Pandi gives the music its drive and the group’s stomp on your neck swagger. He is, like Slobber Pup as a whole, a force to be reckoned with. 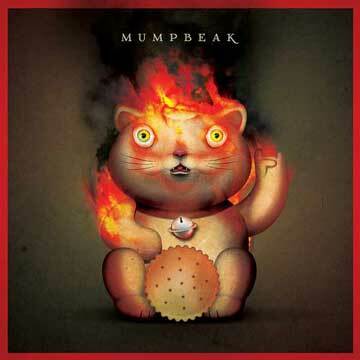 Prog fans would do well to check out the self titled album from 2013 by Mumpbeak. The group is led by keyboardist Roy Powell, and as is the case with many of Rare Noise’s releases, it includes contributions by heavy hitters from other prominent groups. King Crimson alum and bassist Tony Levin sits in on one cut, and King Crimson’s Pat Mastelotto holds the group’s drum chair. The album also features bassist and producer Bill Laswell. Powell hitched a complex set of pedals to his Hohner Clavinet, teamed up with a few electric bassists, and proceeded to record seven tracks that are venues for him to explore his instrument’s sonic possibilities, get inside the spaces provided by the wide variety of grooves and tempos, and generally rock out. As is the case with prog, mixed meter and tricky rhythms abound. The compositions aren’t based around tunes; rather, they are grounded by Mastelotto’s drum patterns, melodic ostinatos, and particular colors and moods. Most of the record features simultaneous bassists, and the ways Powell uses his clavinet’s effects to sound like a variety of guitars and keyboards makes it seem like there are multiple soloists, which gives the album a range of timbres, new sounds, and ideas to check out. Mumpbeak surely isn’t for everyone, but it’s an intriguing, dark, ominous, and stimulating take on prog and other forms of improvisation-heavy instrumental rock. Pharoah Sanders’ Black Unity for Less than a Buck!